I Hemerocallis Calcedonica polyanthos; II Scapuscum bulbo; III Hyacinthus stellatus autumnalis angustifoliis maior; I and II Lilium Martagon, bred to grow especially tall and heavily flowered at Eichstatt. Found in the wild in Germany from the 16thC. III Members of the liliaceae but many have now been reclassified as Endimions e.g. bluebells. 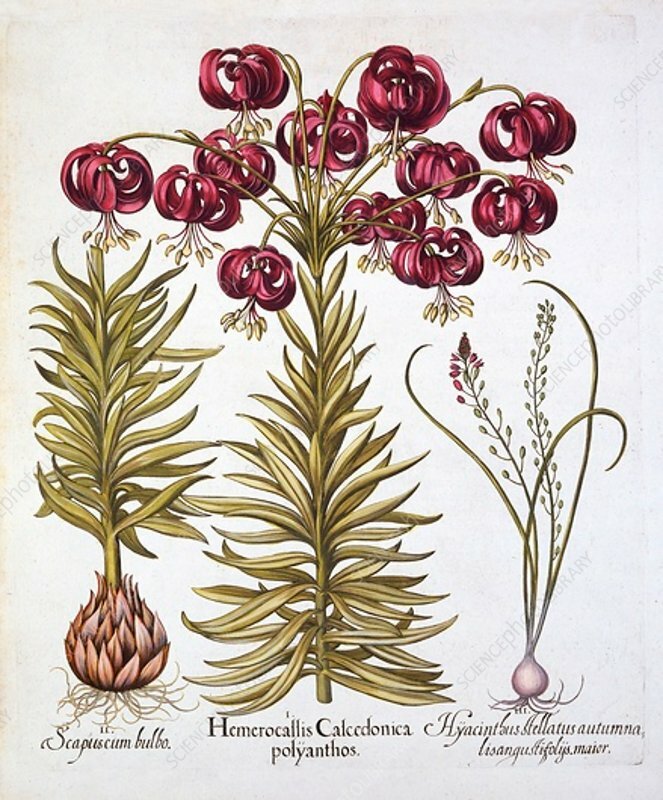 Besler was an apothecary in Nuremberg and was in charge of the gardens of the Prince Bishop near Eichstat.